Before getting into Kim’s clapback, let’s address the backstory and why Kim is so riled up. MJ appeared on the Make Speidi Famous Again podcast with Spencer Pratt and Heidi Montag. They talked all things reality TV and considering that Kim is on two Bravo shows, her name was bound to come up. MJ also said, “Here’s what bothers me about Kim, she’s clearly not showing her life and she still kind of tries to get away with it. Like having her husband parked outside every time she’s shooting, it’s stupid.” Kim having her transportation lined up did not go over well with the Atlanta Housewives last season. TELL US- WHAT DO YOU THINK ABOUT MJ’S COMMENTS ABOUT KIM? 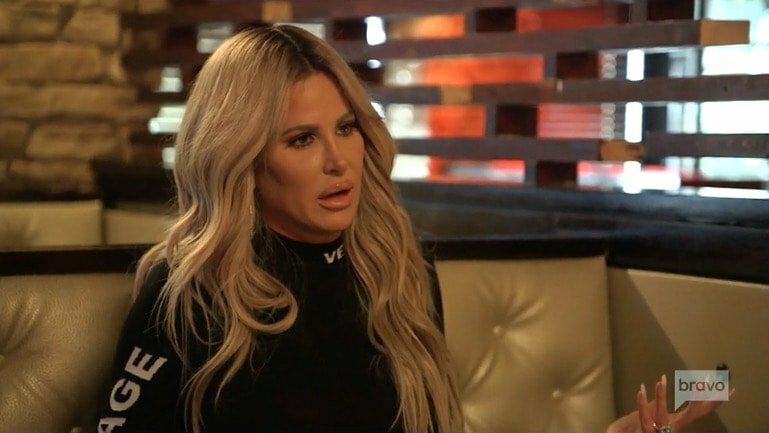 WHAT ARE YOUR THOUGHTS ON KIM & BRIELLE’S CLAPBACKS?